I am from Java, Indonesia’s principal island. Indonesia is huge. It is over 3,000 miles from east to west, with a population of over 260 million, spread across 17,000 islands. 140 million people live on Java alone. 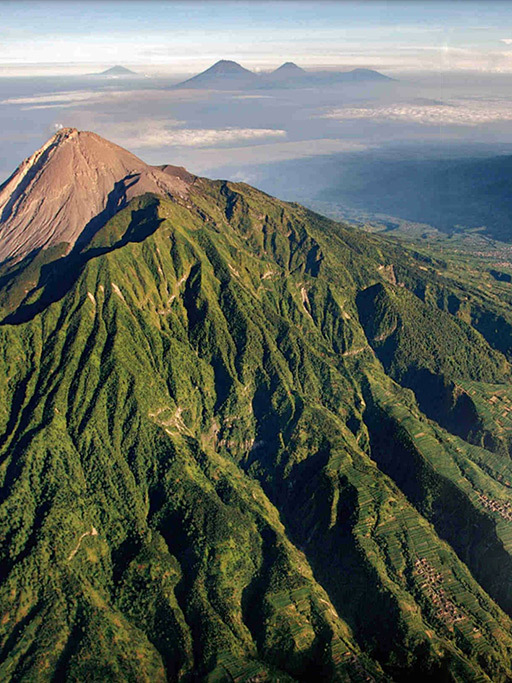 Java is only two-thirds the area of Great Britain, and it has to find space for 45 active volcanoes—so it’s pretty crowded! The upside of all those volcanoes is incredibly fertile soil. This, combined with the tropical climate means that stuff grows there. In abundance. I’ve no idea how many types of fruit and vegetable can be found on Java alone; then of course add in what comes from all the other islands (think Spice Islands for example). On top of all the fruit and veg all those islands are surrounded by a lot of sea—which means a lot of fish. We’re not big on meat: chicken yes, daging kambing (which translates as lamb or mutton or goat, so we’re never really sure!) and a little, expensive, beef (often water buffalo and delicious), but no pork, except on Bali. 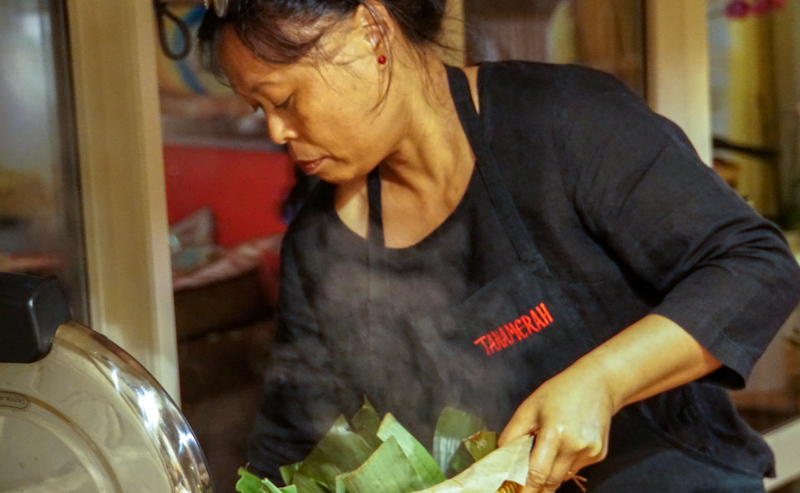 Combine a huge range of raw ingredients with all the different cultures and nations and histories that have been unified into Indonesia over the centuries and you begin to understand how varied Indonesian cuisine might be. And why food is so much a way of life. A way of life that I grew up in. My mother was a brilliant cook, with an amazing breadth of knowledge about food. We weren’t wealthy, but we did employ domestic staff. Mami used to train the cooks so well they were always going off to new, better paid, jobs! Despite being exposed to so much good food at home, I’m ashamed to say that I, and all my siblings—four sisters and two brothers—didn’t really get involved much in actually cooking it. I went to hotel school—but even there I majored in marketing rather than food & beverage. When I arrived in Italy at the age of 26 with my then boy friend, Kevan, to find myself running a house and having to prepare meals, it was a bit of a rude awakening. But what a place to have a latent interest in food coaxed out if you. 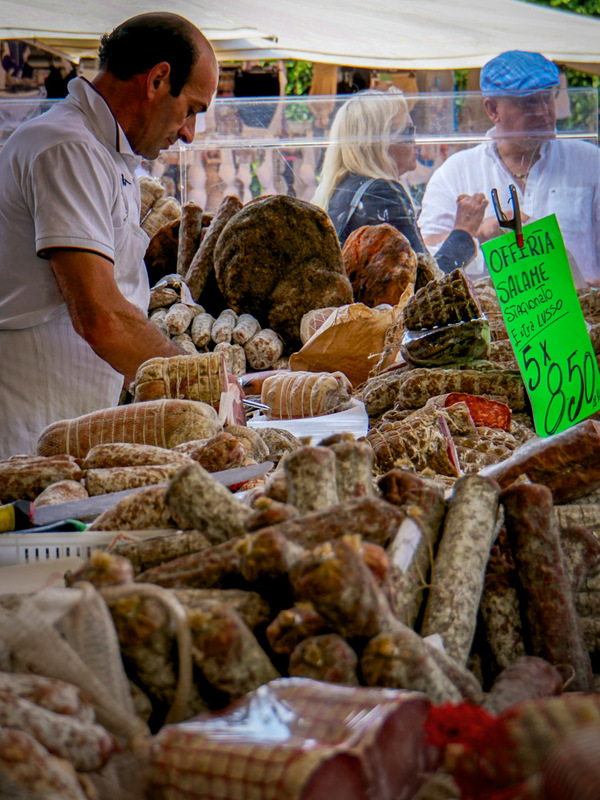 In Italy I discovered a culture that also revolved around the joys of good, healthy food. Armed with my Italian dictionary I’d ride my moped down the hill to our little village and spend a jolly morning in very broken conversation with the butcher, the greengrocer, and the baker, all charming and helpful and friendly—I was known locally as ‘la negra’. Probably not very PC, but what the hell. You cannot sit down for a meal there without the talk turning to the food on the table—often in terms of it being delicious, even though not quite as good as Mamma made it back home! I soon discovered the pleasure of my beginner’s efforts being appreciated, and started to get a huge buzz out of cooking, and to take it seriously. We moved to England in 1988—by now married—and I was delighted to discover a food scene that, though perhaps not so much a universal way of life as in Italy, was much more multi-cultural. 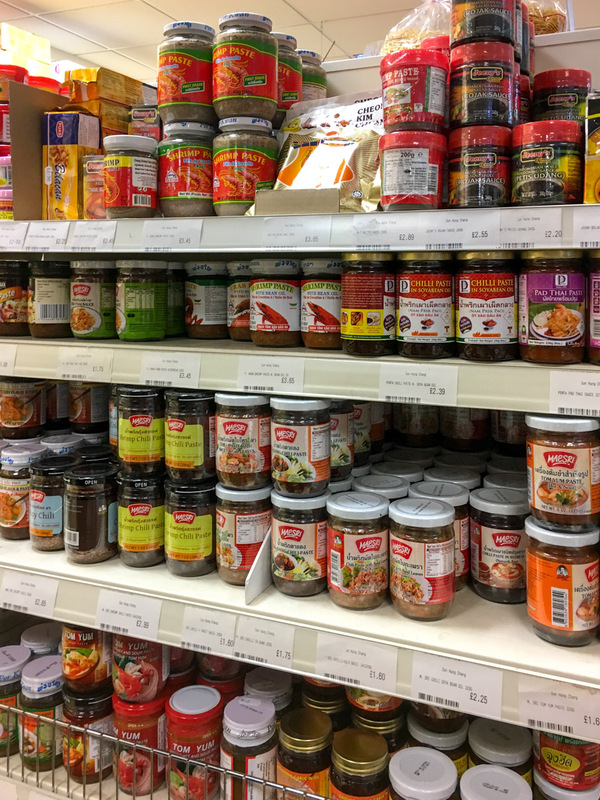 Italian food is fabulous, but when you live there and once in a while fancy a nice curry, or a bowl of tom yum soup, or even a plate of moussaka, forget it! But in England I discovered you could go out and eat food from dozens of different countries. More than dozens. And you could find almost any ingredient you wanted, whatever the cuisine. OK, 30 years ago you may have had to go to Chinatown in London to get some things, but luckily for me that wasn’t a problem. Many’s the evening Kevan would stagger in with overflowing carrier bags, having endured the smelly embarrassment of bringing them home on the train. He always claimed that shopping in Chinatown reminded him of living in Singapore, so he didn’t mind at all. After the arrival of our daughter Aisha I started to cook for friends. I began to combine the best of the cooking I had learned from my mother growing up in Indonesia with everything I had discovered in Italy. And, inspired by travelling and reading, I’ve gradually added dishes and ideas from many of the countries in between. I describe the resulting mix as “cooking with ingredients that love sunshine, for people who love flavour”. One day, with no particular plan, I realised I had a business. And with that, I needed a name! Tanamerah means red earth in Indonesian — it stands for the rich, volcanic soil of my Javanese birthplace. One of the first novels I remember reading, by Noel Barber, was called Tanamera. Without the ‘h’. 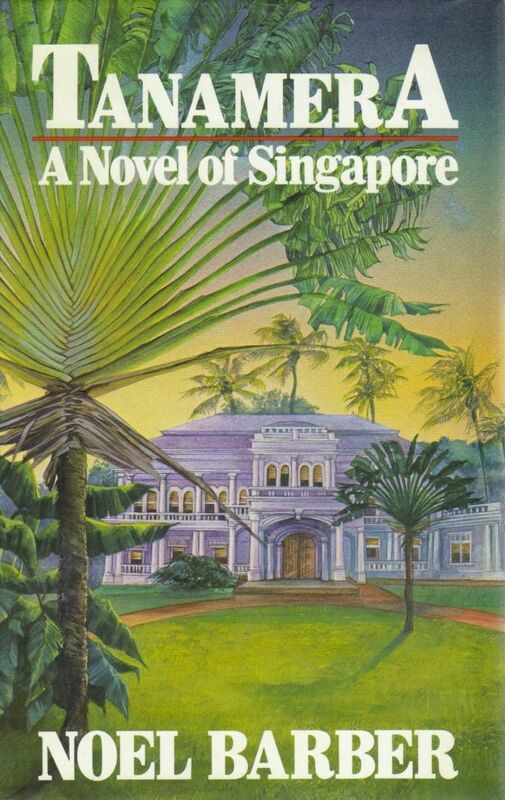 It was about a love affair between a Chinese Singaporean and a colonial British merchant, set against the birth of Malaysia and Singapore from British-ruled Malaya. I loved it. Turns out that Kevan had read it and enjoyed it too when he was living in Singapore before we met. I started with cooking for parties. Birthdays, anniversaries, special events, that sort of thing. Sometimes just a dinner party. The smallest number I’ve catered for is six. The most 450 (though that was two separate events, lunch and dinner, in the same location on the same day). You can find more details on the catering page. 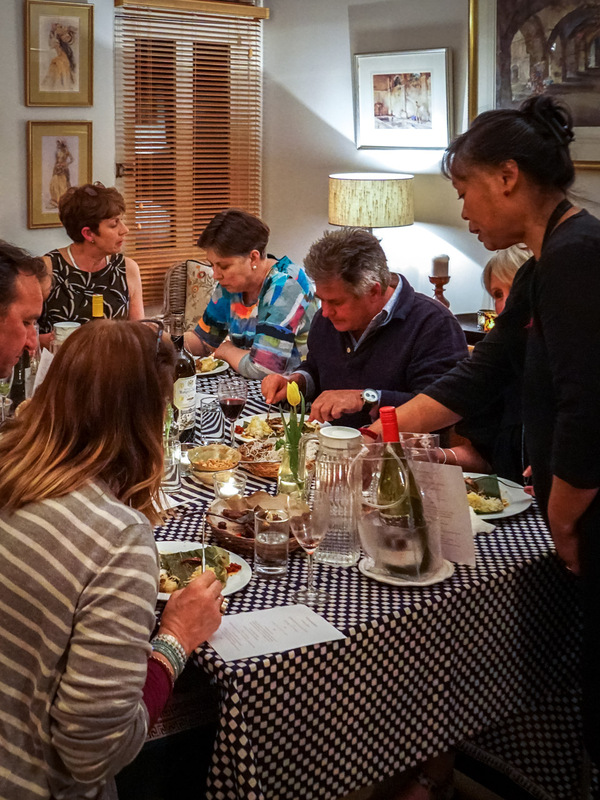 Over the last few years I have been hosting more and more supper clubs at our house just outside Haslemere, near the junction of Surrey, Hampshire, and West Sussex. If you have a group of friends who would like to go out for a meal together, and perhaps try something different, how about coming for dinner? You’ll get a great meal, at a great price. Bring your own wine — there’s no corkage! It’s a bit like going out to a restaurant—but at my place. I’ve also run pop-up restaurants at bigger venues, such as Sparks Yard in Arundel and Applegarth in Grayshott. Finally: the future. I have always held cooking lessons and demonstrations from time to time. Usually when someone asks me to. But I am very keen to do more, and to publish more recipes and cooking tips through this website. If you would like to receive an email when I do, just enter your name and email address in the form below. With the best will in the world I am not going to manage more than one a week! Just by way of reassurance, Tanamerah holds a Food Standards Agency food hygiene rating of 4. (There is a technical reason that it is not 5, which we would be happy to explain to anyone who would like to know.) And of course we have third-party liability insurance to cover unforeseen events. My plan with this new website is to offer a lot more recipes and video demos online. If you would like to know when I post something new, please click on the ‘subscribe’ button. I promise you won’t be inundated with floods of emails!